I’ve been a student of World War II history since adolescence, whether it be films, documentaries and books, and consider myself knowledgeable about World War II history and lore. 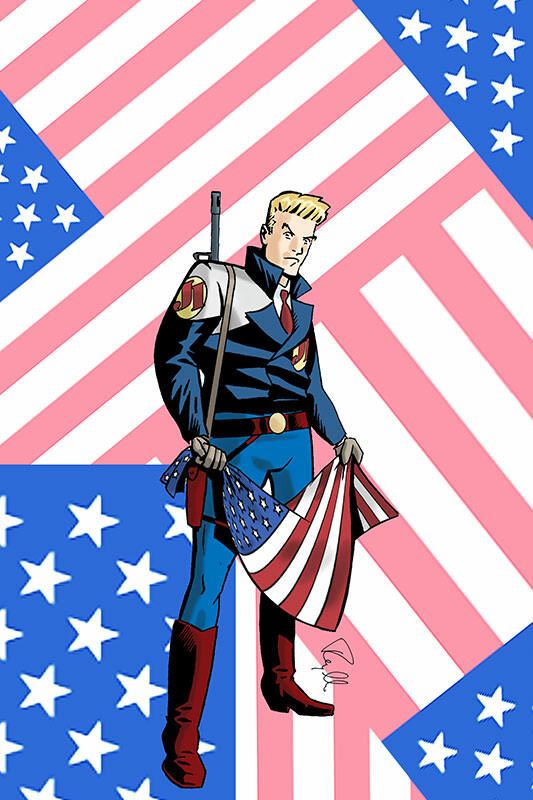 Indeed, the earliest comics I drew were World War II genre stories, inspired by work like DC’s Sgt. Rock, Marvel’s Sgt. Fury, and Charlton’s Our Army at War. The historical period is so steeped in our culture with information about it so easily accessible, it’s easy to seek out and soak up such knowledge without much effort if one has the interest. Yet I don’t recall ever reading a single all-comprehensive, chronological history of the conflict. 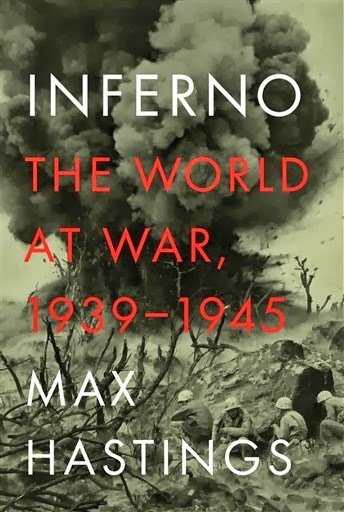 Earlier this year, I stumbled across and downloaded a sample of Inferno: The World at War, 1939-45 by Max Hastings on my KindleFire HD as a digital book. Based on this initial reading, I downloaded the full edition, which I found to be a compelling page turner. Any visit to a bookstore or library will tell you that the second world war is a cottage industry in itself. Regardless, this hasn't stopped Hastings, a noted war historian and correspondent, to produce this ambitious, comprehensive-yet-concise one-volume history of World War II that feels fresh and never gives any of the subjects covered short shrift. As knowledgeable as I am, I’m no expert on current World War II research and scholarship, but this volume does reflect certain perspectives that likely provide readers a more informed, balanced view of the war. None of this was new or a surprise to me per se, but it certainly affirmed certain biases that exist in mainstream views of the war here in the U.S. The Hollywood/American version of the war, for example, often makes it look like the war was won solely by the U.S.—or at least changed course when the U.S. entered the conflict. While there is of course some truth to this—in fact, Hastings asserts that U.S. industrial might was likely one of the major contributors to allied victory—without taking credit away from the Greatest Generation who sacrificed and gave up their lives during the war at home and on the battlefield, Hastings also points out that relative to other countries, the U.S. fared relatively well in terms of deaths and even sacrifice. For the most part, while U.S. citizens did experience some shortages, they paled in comparison to the millions of civilians overseas who died, suffered, and were displaced. In that context, aside from the innocent civilians, the allied country that suffered and sacrificed the most both militarily and at home—and likely served the true fulcrum for victory—was the Soviet Union. To some degree, of course, the scale of suffering was self-inflicted — the Soviets, under Josef Stalin, considered most of its combatants as little more than cannon fodder, with much of its strategy based on attrition and dependent on the sheer massive size of its population and geography. The Nazi-led Germans considered Russians (and most Eastern Europeans) as sub-human and treated them with little of the same respect they generally accorded Western combatants. (Indeed, until the very end, the Nazis fully believed the allies would join with them to fight the Soviet/Communist onslaught.) So whatever little regard the common Soviet soldiers may have held for their superior officers was more than offset by their contempt (and fear) of the invading Nazis who rarely took prisoners and, when they did, treated their Soviet POWs with anything less than cruelty and worse. Another interesting facet of the war covered in this book were the many sideshows around the world outside the regular theaters of operation. Paralleling what I noted in my review of Wild Bill Donovan: The Spymaster Who Created the OSS and Modern American Espionage, the chaos of war provided a pretext for many around the world to exploit the situation for personal gain, by settling scores and seizing power, often by allying with one side or another, changing sides, and/or playing one side against the other. One saw this throughout the war, particularly in places like Yugoslavia, Greece, and Czechoslovakia. While the older powers, like Great Britain and Russia, were old hands at cynically exploiting such situations to their own political ends, many in the U.S., the product of a post-colonial world not yet as jaded, were somewhat appalled by such behavior. As history shows, however, the U.S. soon caught up. One small revelation to me (but long suspected) was the fact that the U.S. Army and Navy were virtually pursuing their own strategies in fighting the Japanese, with the army committed to an island-hopping campaign while the navy believed control of the oceans and containment/defeat of the Japanese navy was key to victory. While both approaches were, of course, ultimately complimentary and contributed to the defeat of Japan, Hastings does question whether all the island campaigns (and the resulting loss of life) were truly necessary and nothing more than political show. As this book points out, with little understatement, war is a terrible, chaotic thing. Strategy, planning and training are essential, but so is the will to fight, logistics and resources, and a bit of luck. Given the one volume, Hasting’s does an impressive job of presenting the war in all its facets and operations—from the political arena, to the ground battles, to the home front, to the sideshows, and to the telling moments of horrible inhumanity as well as profound chivalry that invariably emerge during times of war. There are no doubt many fine books to choose from to learn the “inside story” of World War II, to which Inferno can be included.